All is good. Have stayed at lots of YHA and this is one of the best city hostels. Canterbury is also a great place to visit. When would you like to stay at YHA Canterbury? Want the best of both worlds? Canterbury goes one better. With a city that’s chock-full of history and culture, the coast a mere 7 miles away, Kent AONB to the south and acre upon acre of ancient woodland to explore nearby, this place has it all. 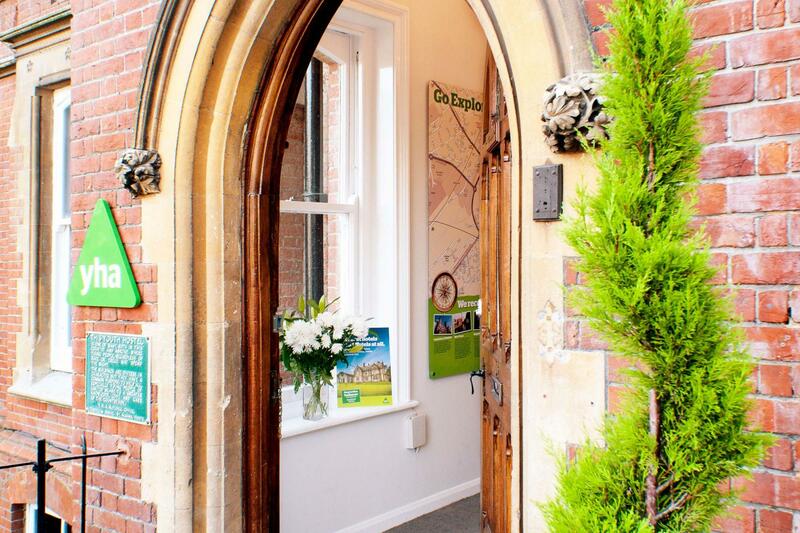 Our stunning Victorian villa is perfectly located to explore the Cathedral City of Canterbury and its surroundings. With historic buildings, museums, Medieval adventures, there’s so much to keep you entertained. We have 15 rooms with 72 beds over four floors with an open-plan staircase. Room sizes are mainly four-bed (x6) and six-bed (x6), with x1 triple room (single over double), x1 five-bed room and one twin bed room. There are seven en-suite rooms available. The dining room seats 32 in one sitting and we have an adjacent self-catering kitchen with an additional 10 seats. We do not have meeting rooms or classrooms but the dining room and lounge can be used outside of mealtimes. We can generally work the rooms to fit most group breakdowns or family requirements, and whilst our building is not wheelchair accessible, we are happy to discuss accessibility and will always try to make things a little easier – speak to our friendly team ahead of booking and we will help work it out! We also have cots and highchairs available to hire. 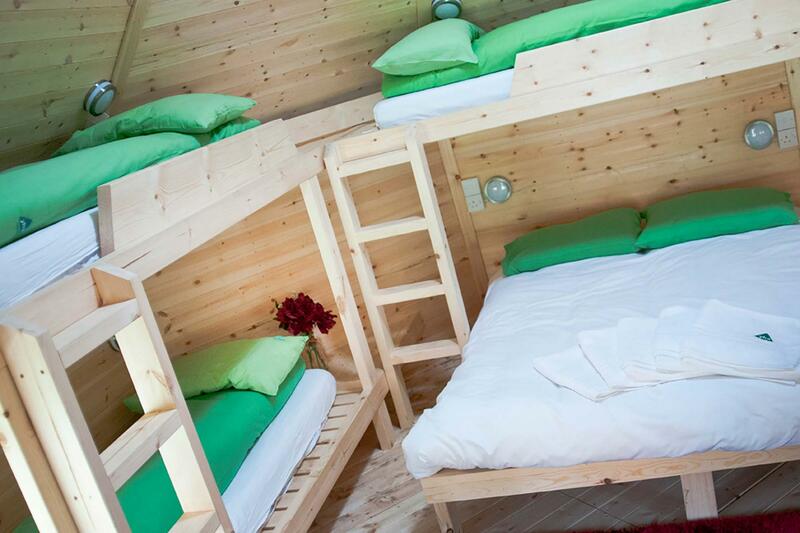 Feel cosy as can be inside a rustic six-sided Large Cabin Deluxe! These timber camping cabins are fully insulated and have two double glazed leaded windows – four or five people can sleep comfortably in the bunks and use it as a living/seating area during the day - the walls of the cabin slope outwards for a more spacious feeling. The cabins have one double bed with a single over the top and an additional set of bunk beds and a kitchenette area with a fridge, microwave, sink, kettle and crockery. All bedding is provided so you don't need to lug your sleeping bag around and there's even an en-suite bathroom for your convenience. Parking: Guests can park a two minute walk away down Rochester Avenue or St Lawrence which both offer free parking overnight and at weekends. Canterbury College also offers weekend parking at £2 per day and there is a park and ride located at the top of New Dover Road. We have a coach bay available at the hostel. Pets: Dogs can stay in our cabins. There is a £5 charge per dog per night for our cabin accommodation which is payable upon arrival. Pets are not permitted in the hostel accommodation at YHA Canterbury however, assistance dogs are welcome throughout, please advise upon booking. Make YHA Canterbury your home over Christmas and New Year by booking the whole place for yourself! Visit our YHA Exclusive Hire website for more details and make this holiday season a memorable one. Located close to the town centre, YHA Canterbury provides a great base from which your school group can explore this beautiful Roman city. 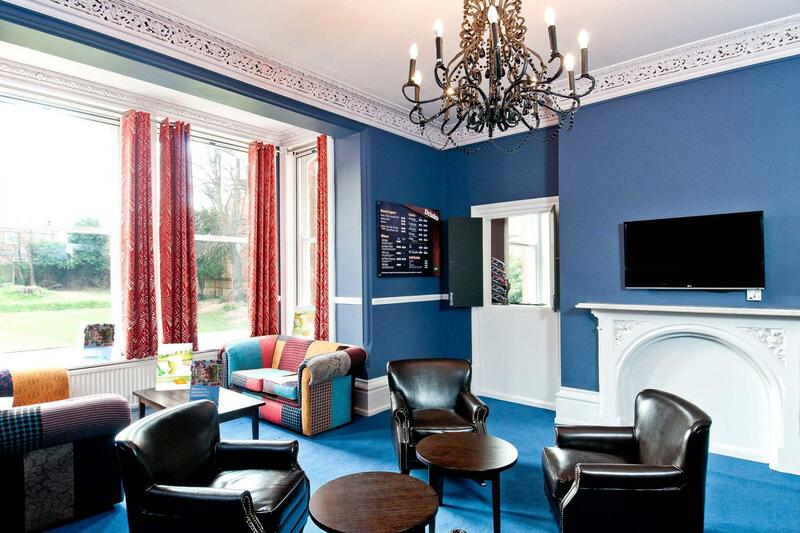 Facilities include Internet access and group catering - perfect for a school trip! Visit the YHA School Trips website to book your stay. Ellerslie was built in 1875 and forms part of Canterbury's rich heritage of Victorian gothic style buildings. Formerly a private residence to various wealthy prominent figures, many interesting relics from previous occupants are listed in the census, and there are some fantastic pictures of the maids servicing the property at that time. YHA Canterbury boasts the longest-standing presence of a city YHA since our organisation was founded in 1930, occupying three other properties prior to the acquisition of our current home in 1962. It underwent a small refurbishment in the 1980s to improve the catering facilities and at that time squeezed over 100 beds into the rooms. Ellerslie then received the best 50th birthday present from YHA – a £600K makeover to reduce the dormitory sizes and increase the number of ensuite rooms. The work to the house has been sympathetically carried out, being mindful of the heritage, fantastic original staircase, ornate coving and woodwork. The refurbishment of this house is a great reflection on our reinvestment programme and will enable us to continue to welcome over 17,000 guests each year to this fine city. YHA Canterbury Manager Niki: "Hello! I am Niki Reynolds and I have been privileged enough to manage YHA Canterbury (otherwise known as Ellerslie) for 16 years and raise my two young children in this fantastic city. I first worked here with my husband Andy Reynolds – who later went on to open London's flagship YHA London Centraland then became London’s area manager. I have enjoyed seeing YHA evolve from the days of paper diaries and daily lock-outs to the professional organisation we are proud to work in today – our IIP Gold and TT100 accolades are testimony to a happy workplace, with charity and reinvestment at the heart of what we do. I have seen Ellerslie go through many changes too, from the early days of sewing my own patchwork curtains into the bedrooms, to the state-of-the-art facilities and top quality finishes we have today. My Duty Manager - Heather Bowman is my wing-man, and we have a fantastic new team. We also have a regular cycle of new work placement student volunteers who we fully train as part of their educational programme." Manager recommends: Try a gentle walk along the City wall to the Castle, through the Westgate gardens and back through town. Visit the Cathedral, followed by a river boat tour, some shopping at Whitefriars and then back to your accommodation for a few drinks in the bar! The perfect weekend city break. Or fill up on a Full English and then embark on a walk around the ancient city wall and on to the top of Dane John Mound to take in the view. Follow up with a picnic in the Dane John Gardens.